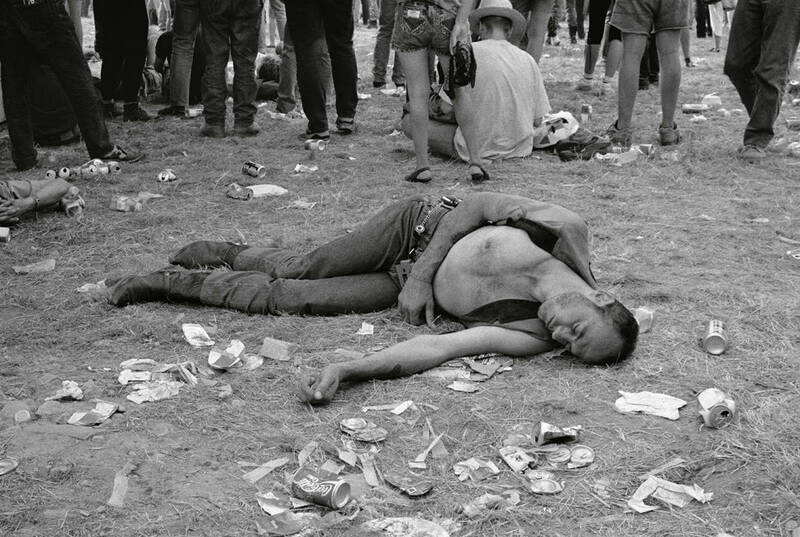 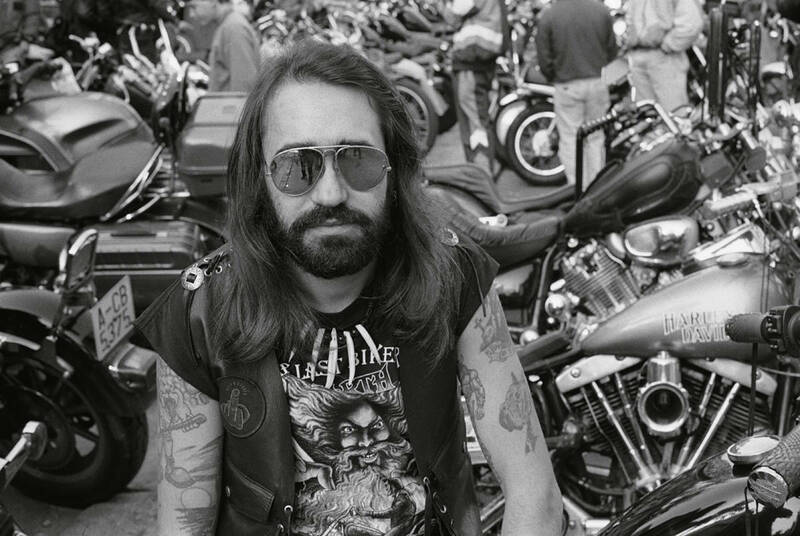 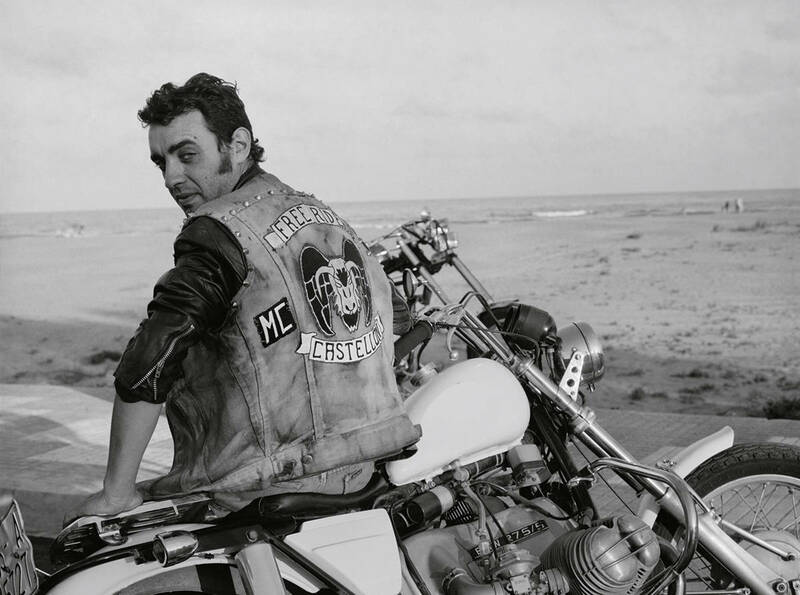 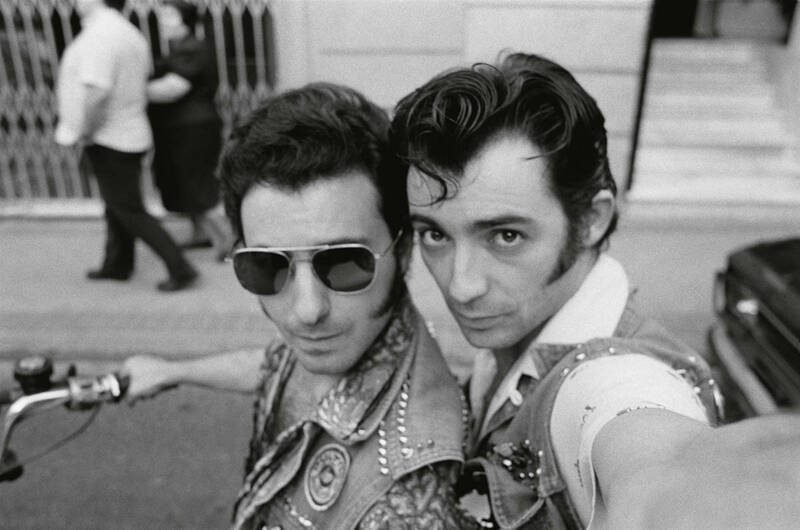 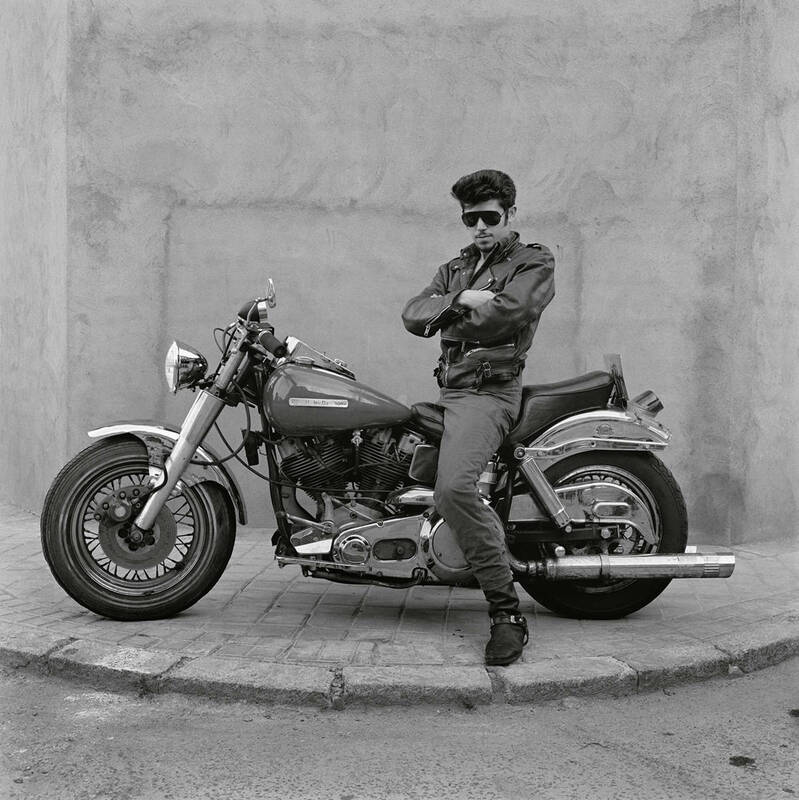 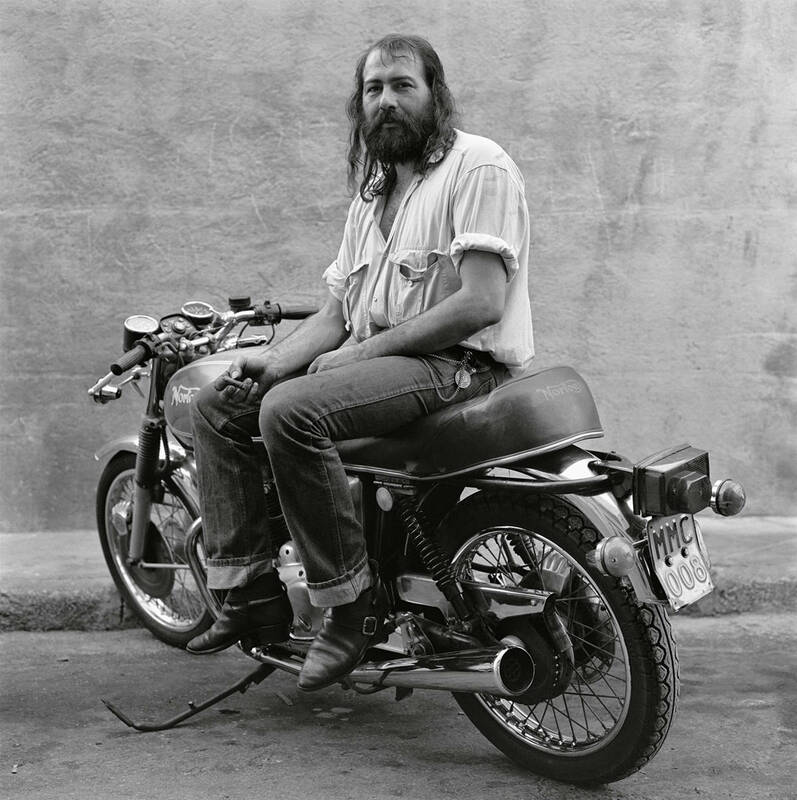 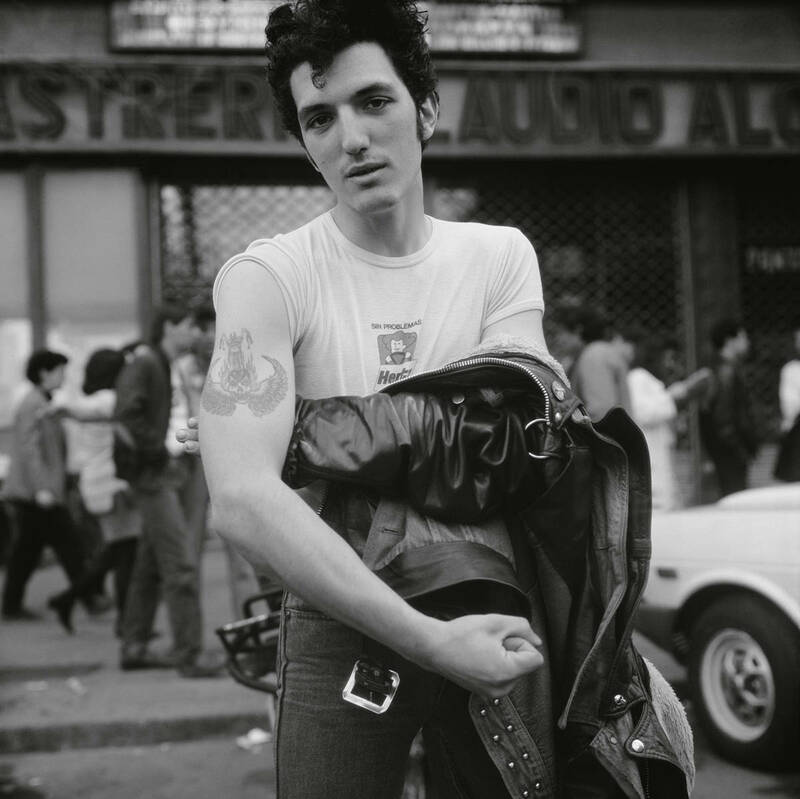 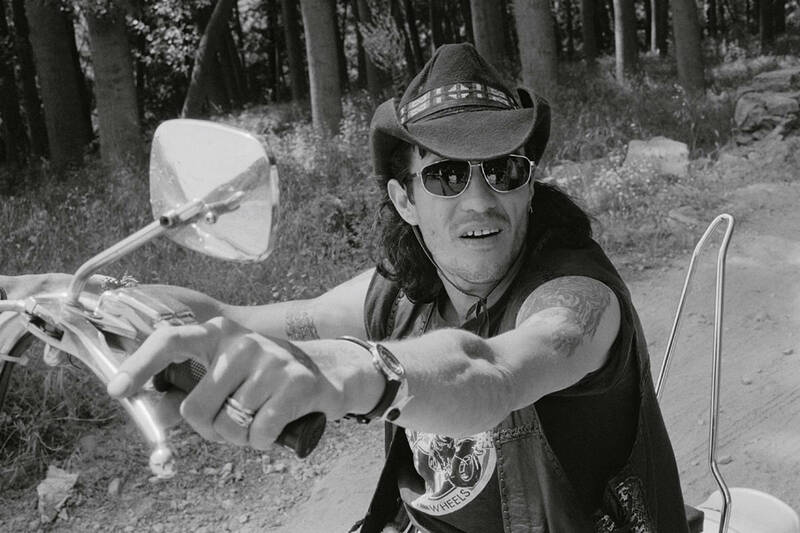 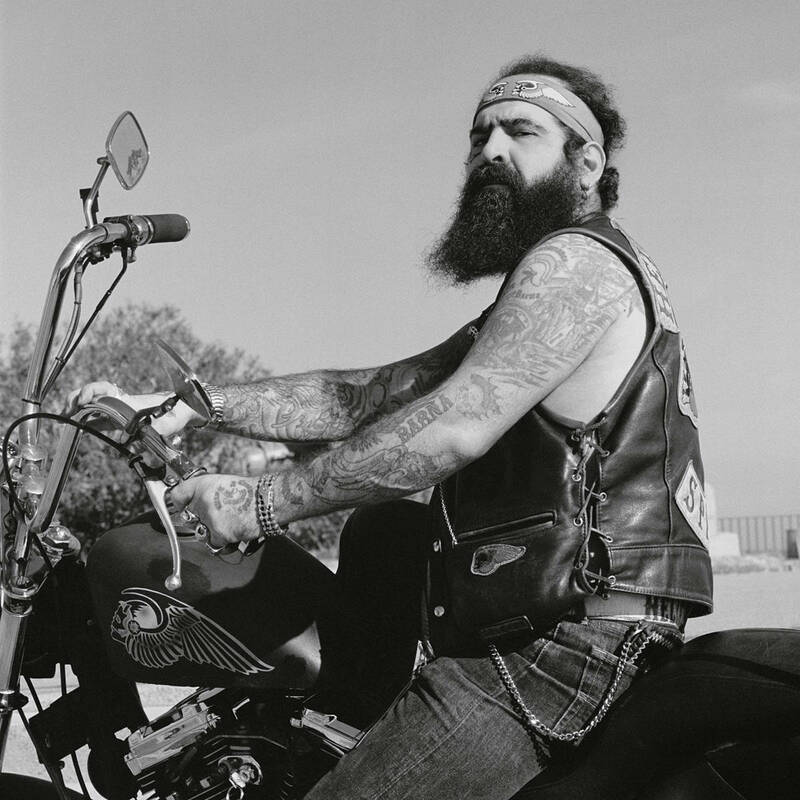 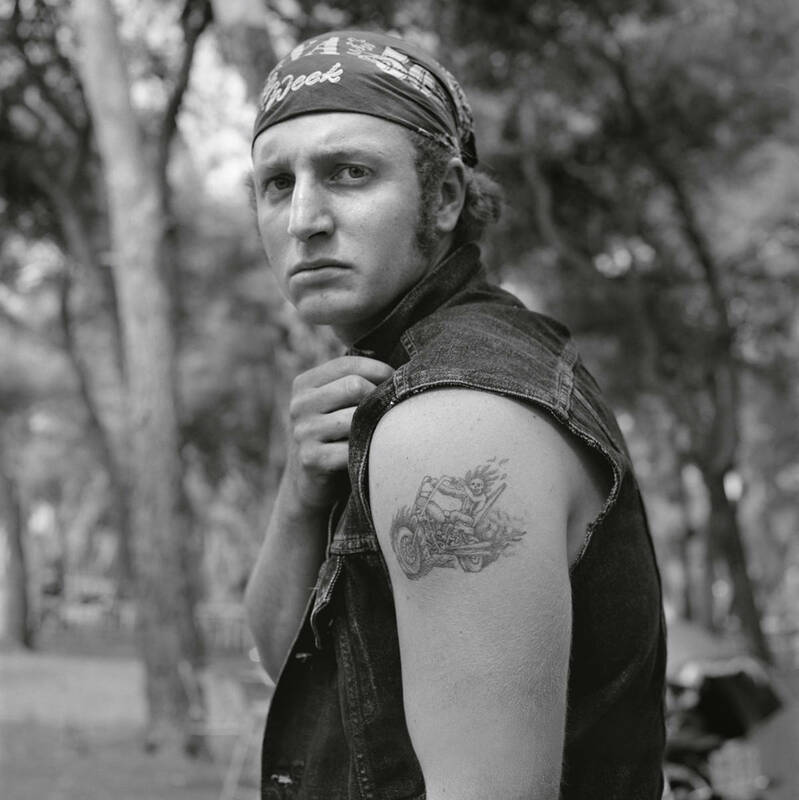 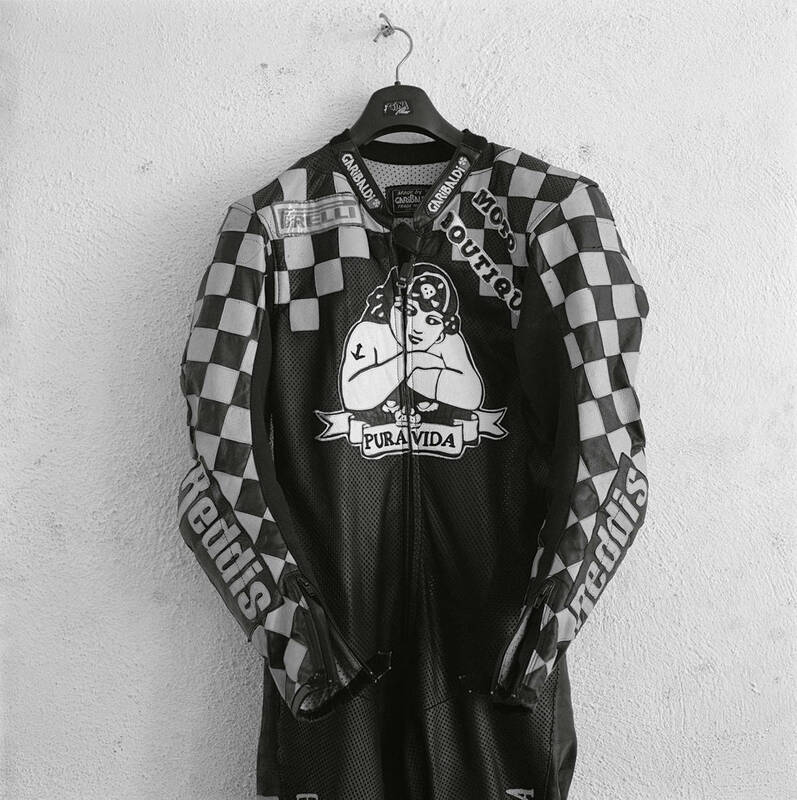 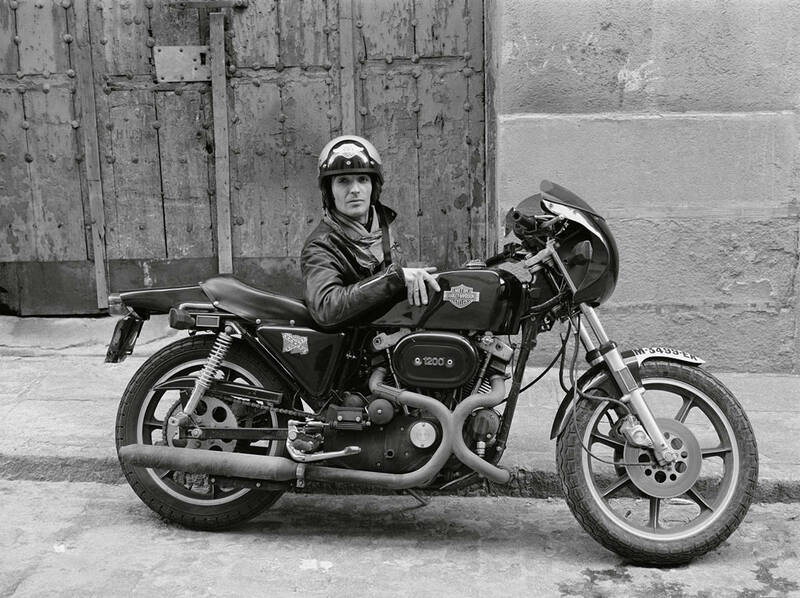 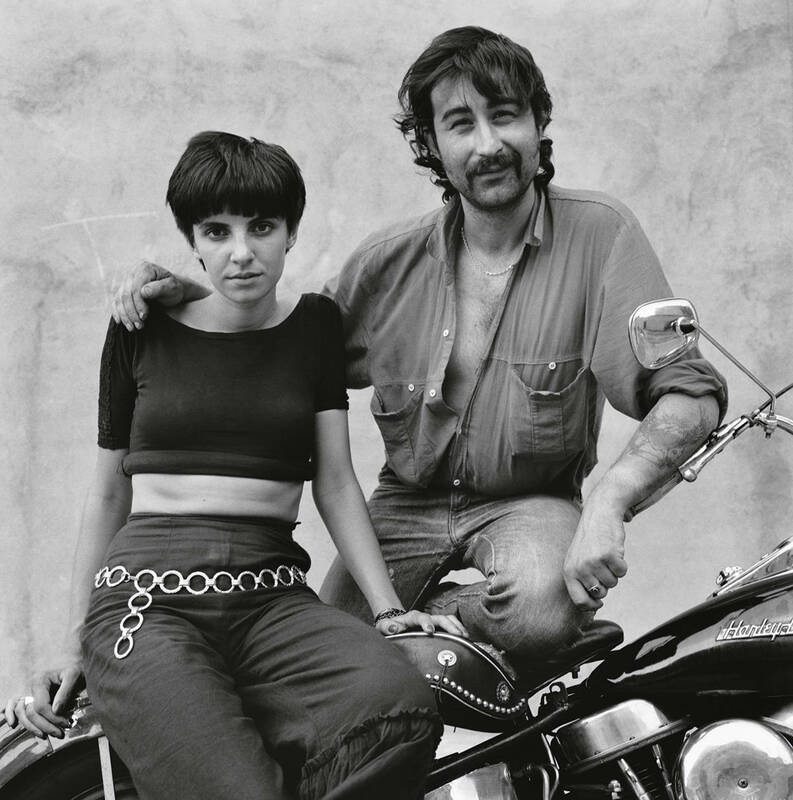 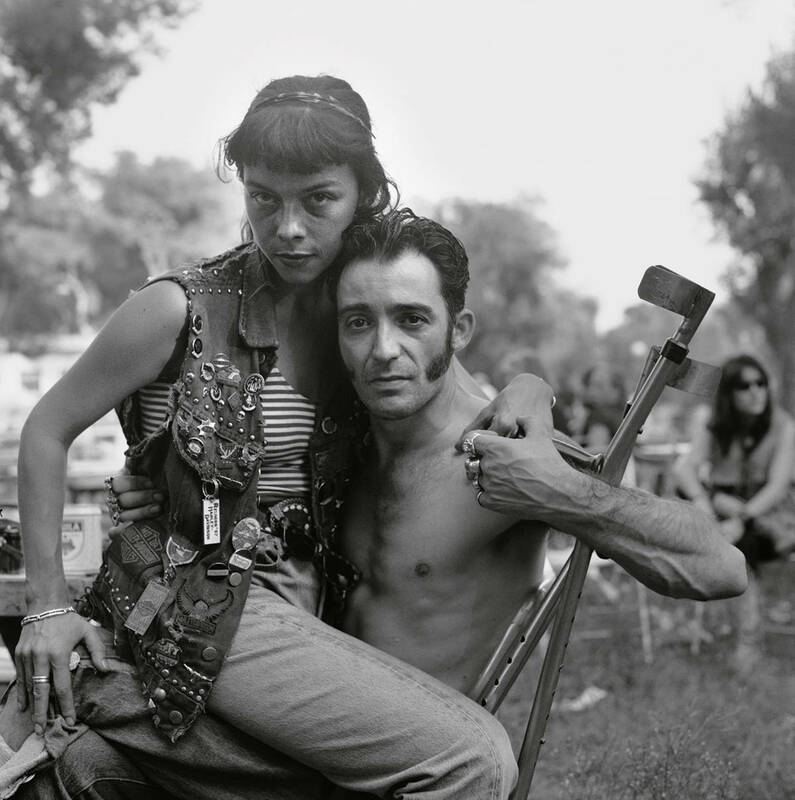 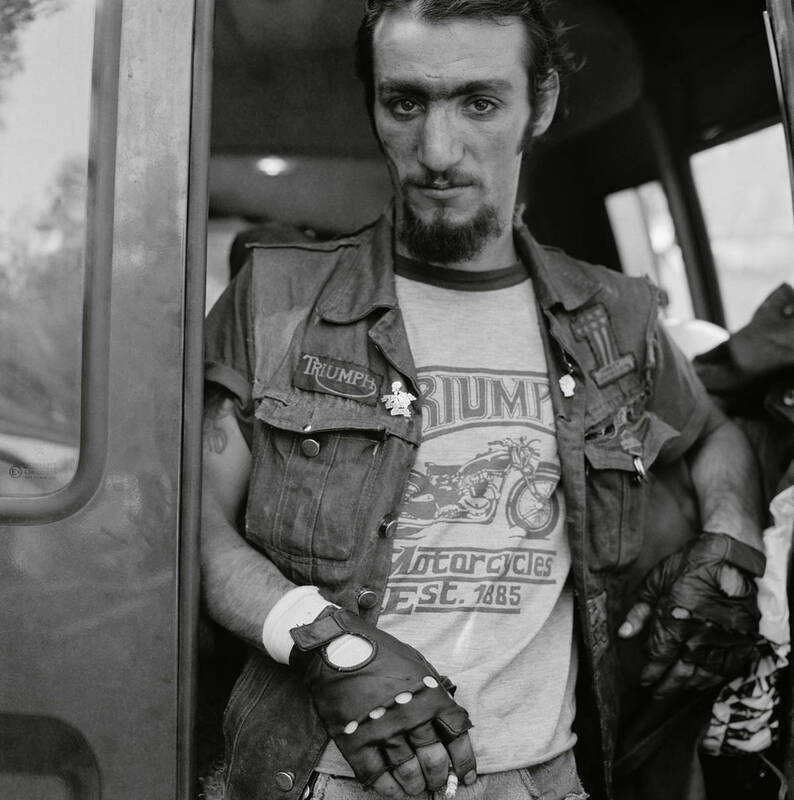 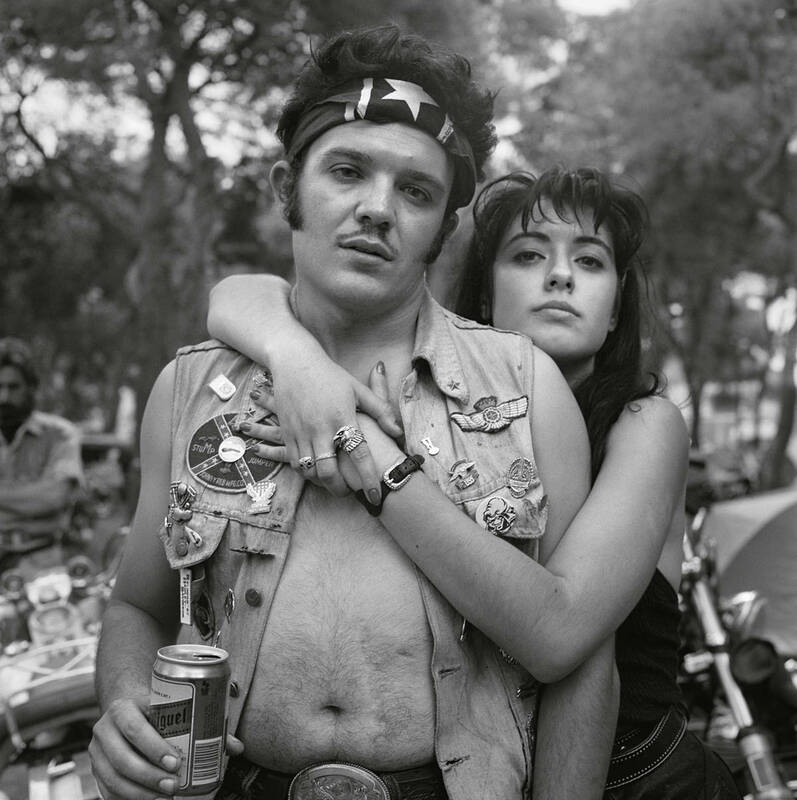 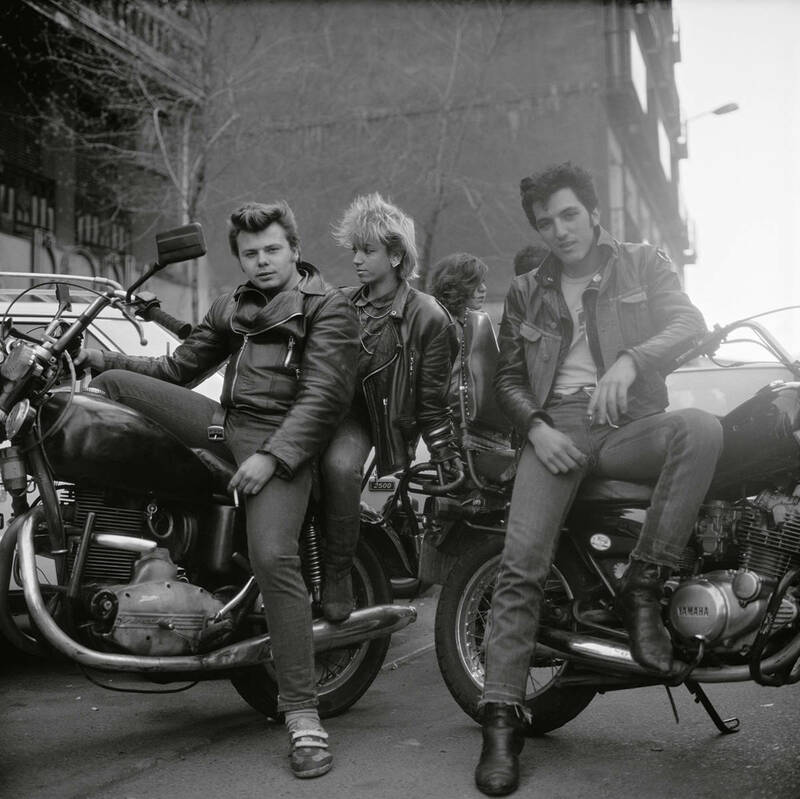 Within the work Biker appear photographs taken by Alberto García-Alix between 1986 and 1993, and in which his central theme—the bike—appears as one of his great passions and a recurrent motif in his work. 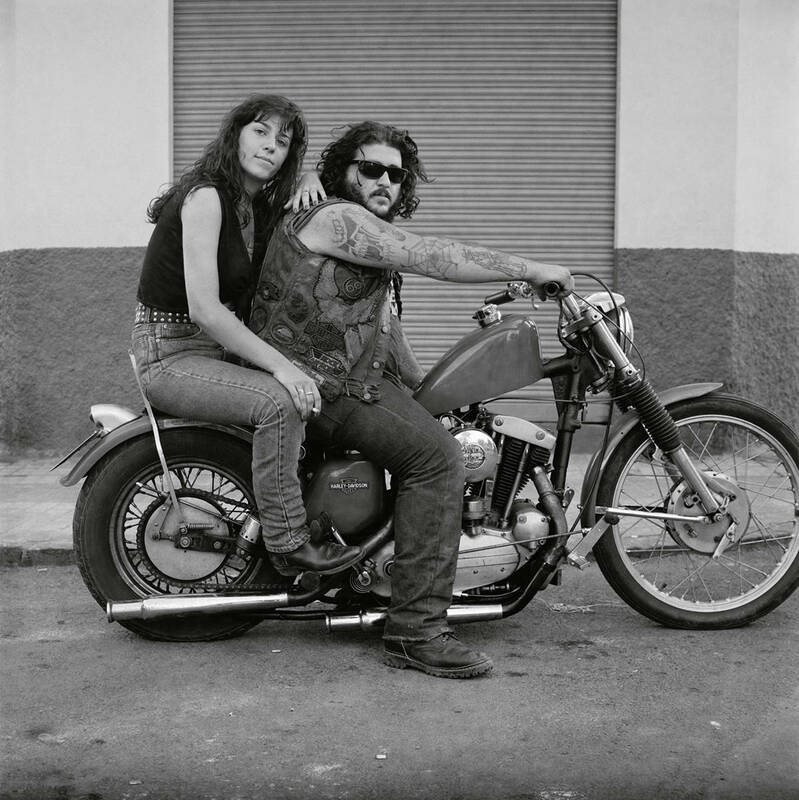 Captivated by the motorcycle since he was a child, García-Alix cannot imagine life without it: “it is not only a means of locomotion that serves to take me long distances, but also ‘beyond’. 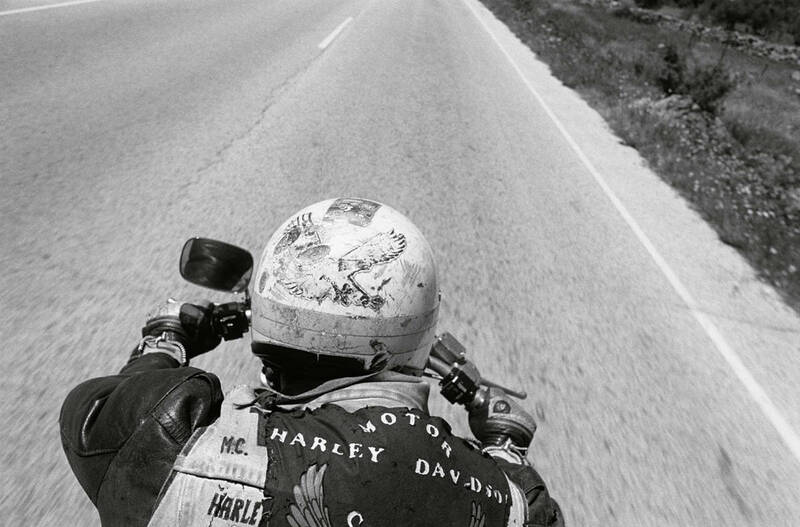 It always represented and still today represents for me a broad concept of happiness, an illusion, a piece of heaven on earth … “. 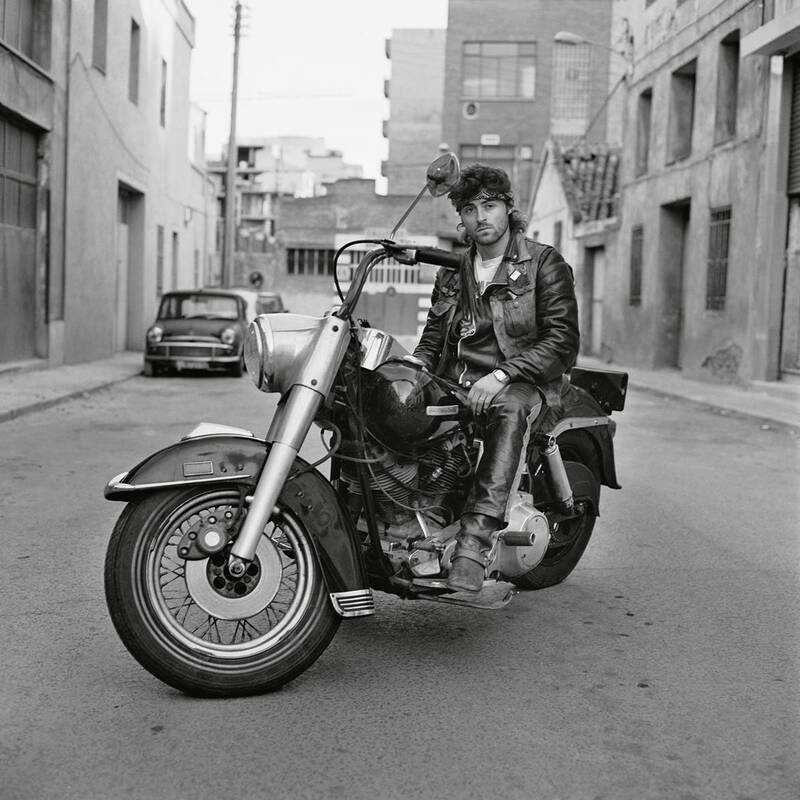 Many of the images in this series were taken on the occasion of the Harley gatherings held annually in the Grao de Castellón. 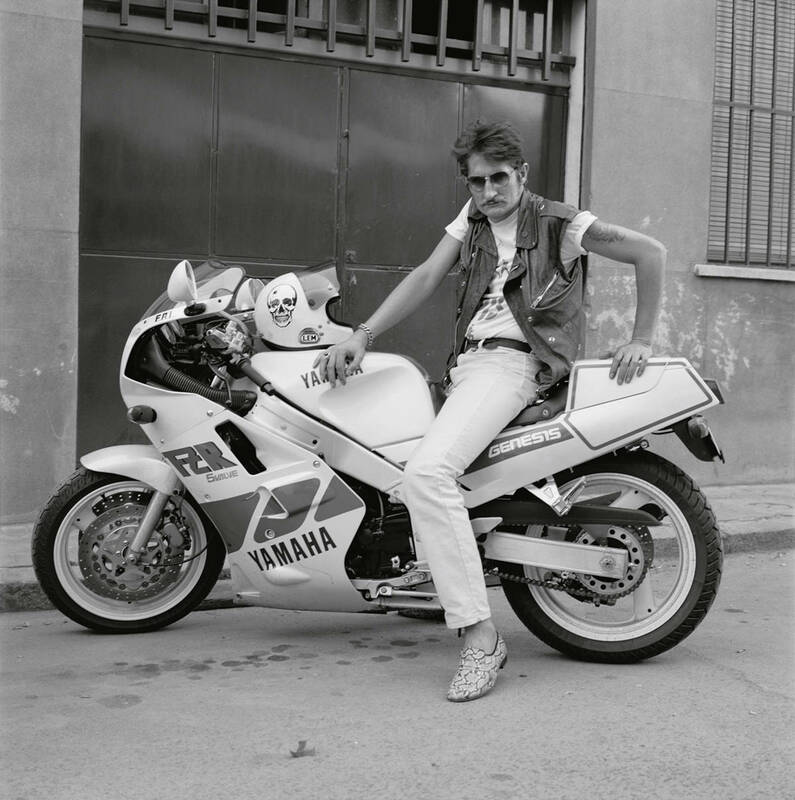 The intention, according to Alberto García-Alix, was “to portray the people and their machines”. 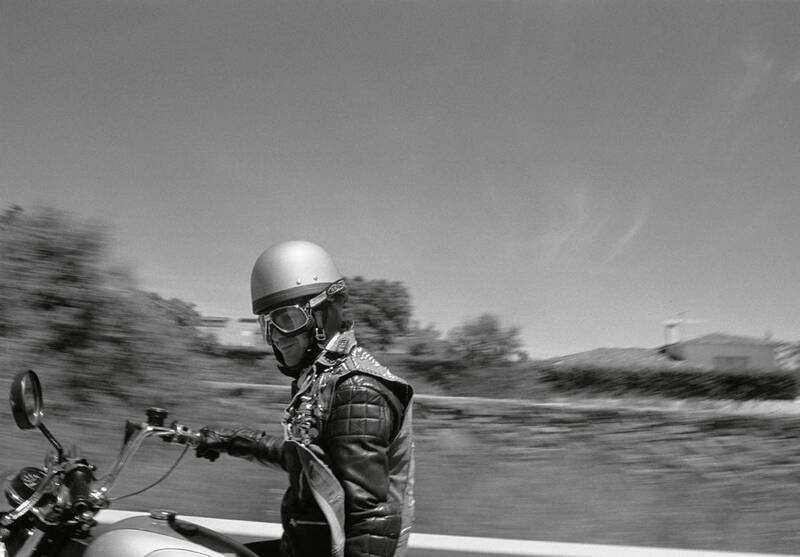 The rest of the photographs were taken in different locations, naturally “always on the road …, always in motion”. 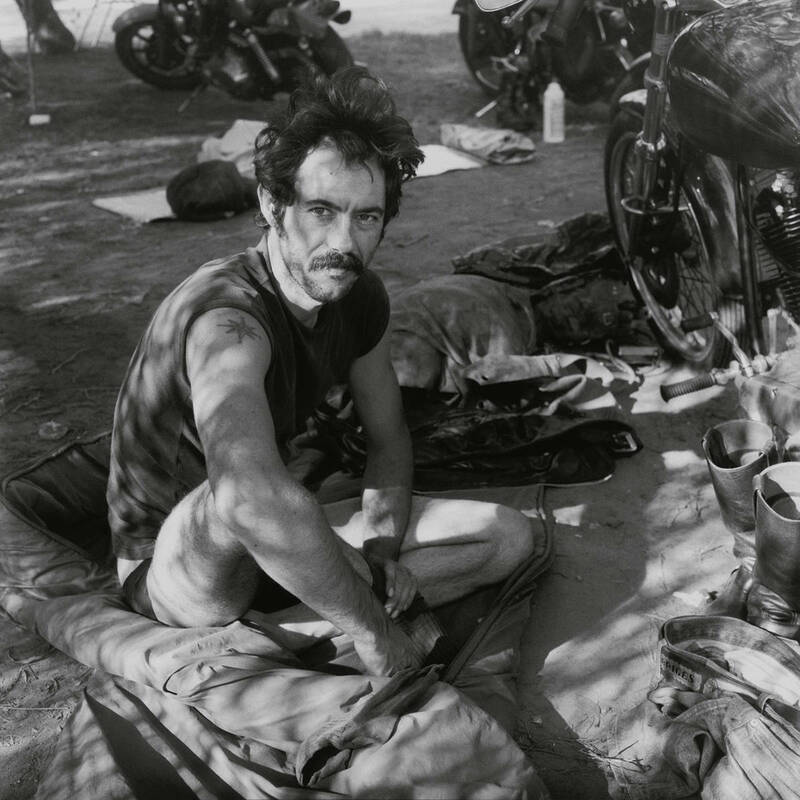 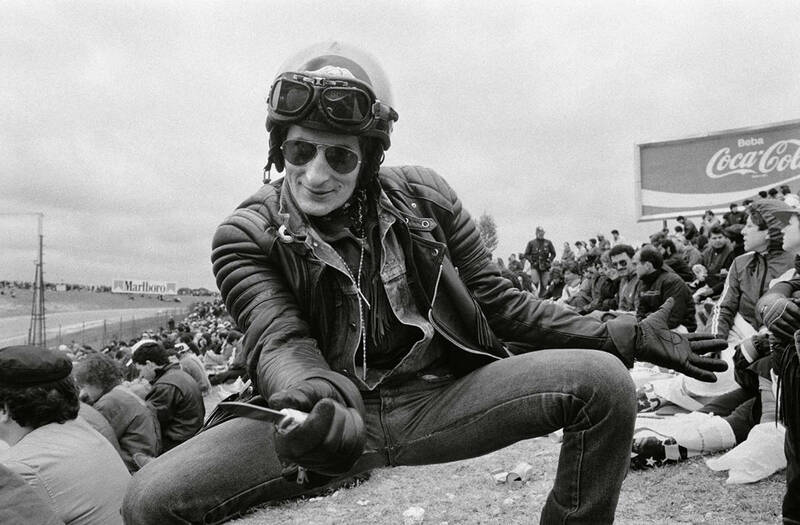 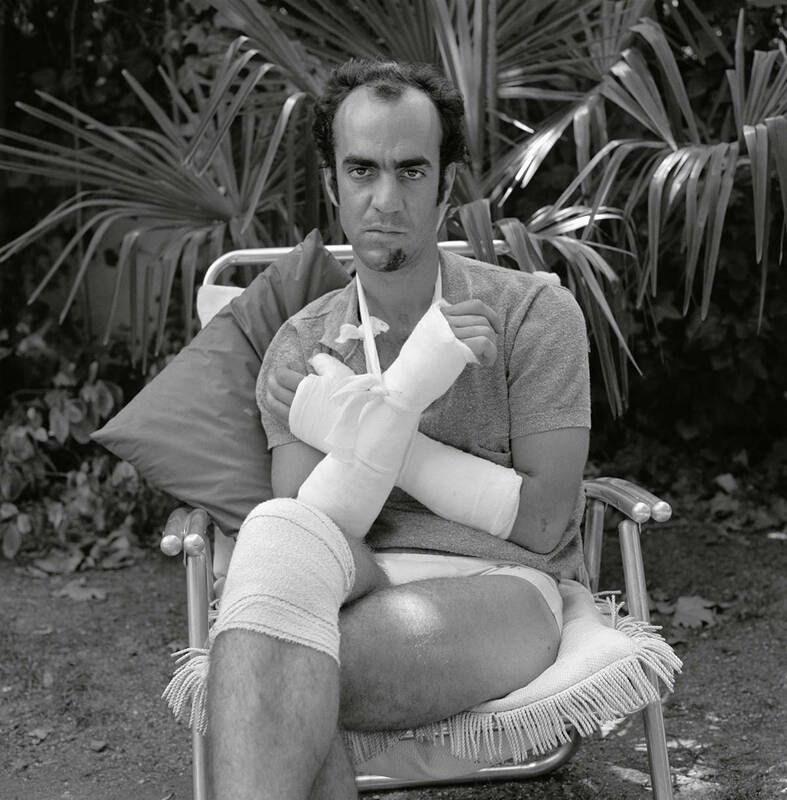 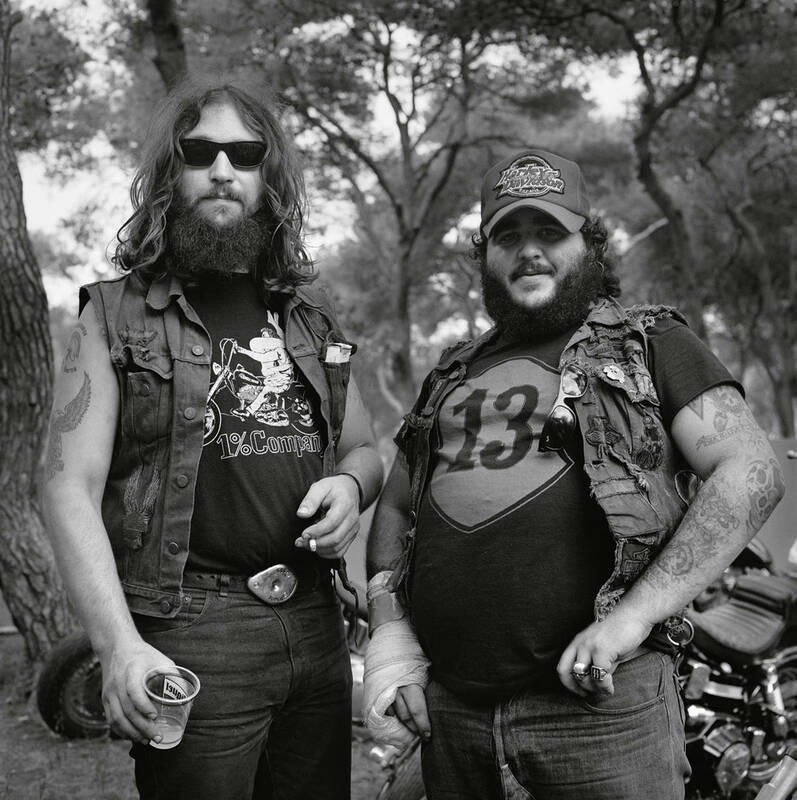 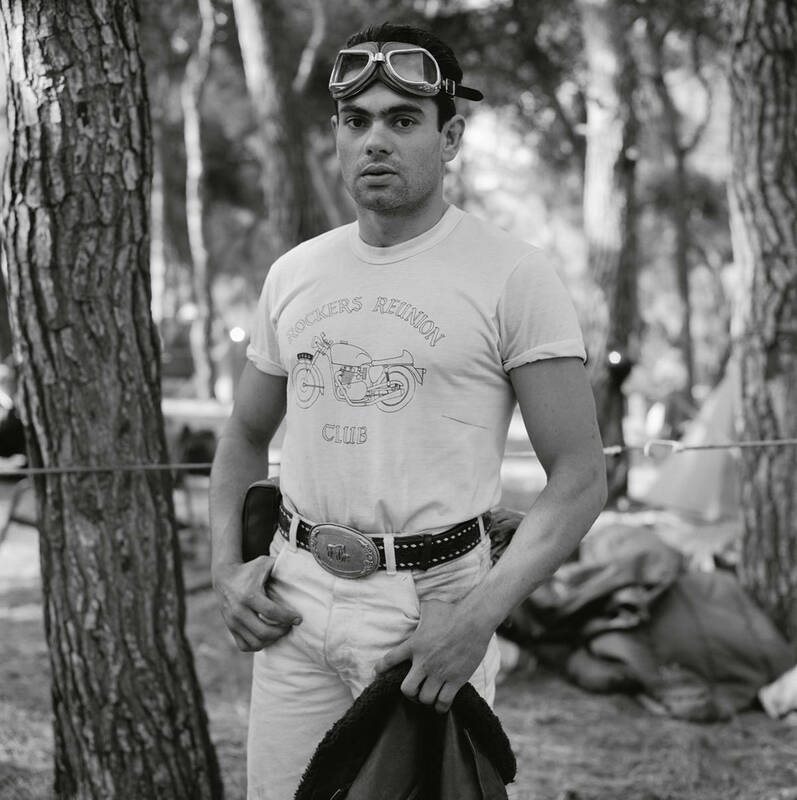 The Biker series thus becomes a faithful mirror of the photographer’s experiences during that period on two wheels. 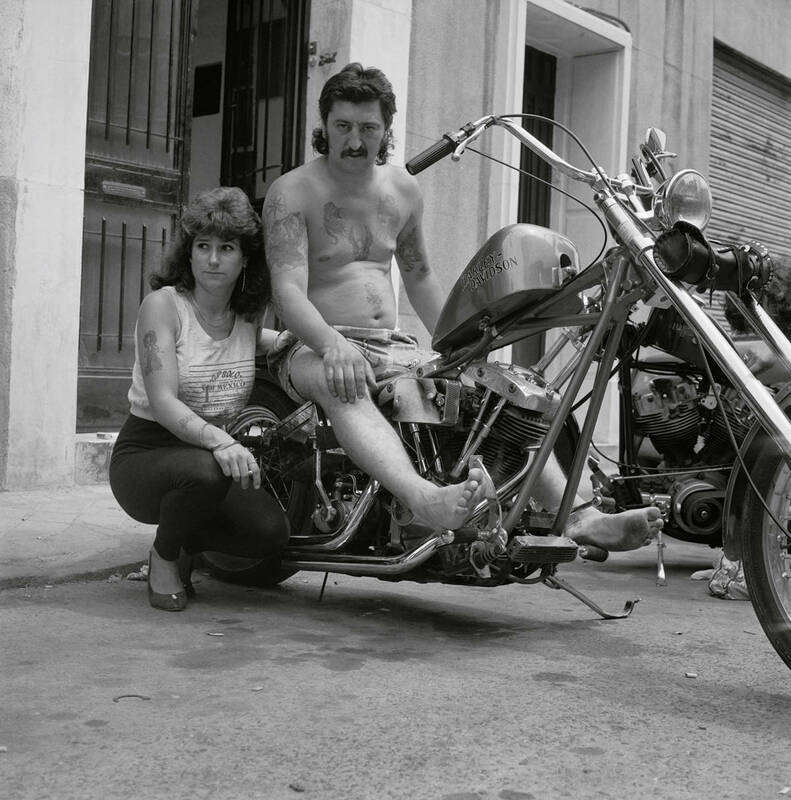 This series of photographs is also found in the book published in 1993 by “The Song of the Crew” under the same name – an editorial project of which Alix was the founder and editor.